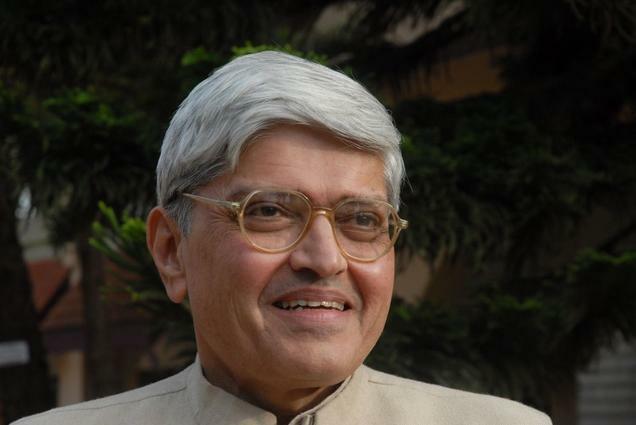 Presidential Election: Mahatma Gandhi's Grandson Gopalkrishna Gandhi‬ To Be Opposition's Candidate? India Presidential Election: Mahatma Gandhi's Grandson Gopalkrishna Gandhi‬ To Be Opposition's Candidate? Presidential Election: Mahatma Gandhi’s Grandson Gopalkrishna Gandhi‬ To Be Opposition’s Candidate? Interestingly, Congress President Sonia Gandhi and CPM General Secretary Sitaram Yechury have spoken to Mr.Gandhi. West Bengal Chief Minister Mamata Banerjee-led Trinamool Congress are also reportedly supporting Gopalkrishna Gandhi as the opposition candidate. Gopalkrishna Gandhi was the Governor of West Bengal and also served as Secretary to the President of India and as the High Commissioner to South Africa and Sri Lanka. He was the Chairman of Kalakshetra Foundation and Indian Institute of Advanced Study.